“It’s that time of year when store clerks try to tempt you to open a credit card to get that extra discount on your purchase,” said Sheryl Nance-Nash in New York Newsday. “Should you take the bait?” Store-branded credit cards can make a lot of sense if you pay off your balance every month; the discounts and perks can be substantial, especially around the holidays. But the cards “can come with a price.” Store-branded cards routinely charge rates “twice as high” as regular credit cards, said Abha Bhattarai in The Washington Post. 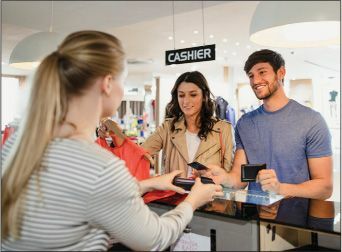 The average interest on store cards has gone up for the past three years and is now 25 percent, compared with 16.15 percent for regular cards. Shoppers may not realize rates are so high, because sign-ups are often “spur-of-the-moment, spontaneous decisions” at checkout—hardly an environment conducive to reading the fine print on a credit contract.